Hôtel-Restaurant Saint-Pierre price per day from € 125 Located in Pontarlier city centre, this hotel offers elegant suites with a view on the Porte Saint Pierre, a traditional restaurant and free Wi-Fi. With a chalet-style, rooms at Hôtel-Restaurant Saint-Pierre have a private bathroom with a hairdryer, a lounge area with a wide-screen LCD TV and a telephone. Closerie Les Capucines price per day from € 235 Set in a renovated, 17th-century convent, this B&B is in Arbois. All of the rooms at Closerie les Capucines have a parquet floor and a contemporary décor. A continental breakfast with local jam and honey is included. Gîte des 3 Hiboux price per day from € 40 . La Truite de la Loue . La Fontaine price per day from € 45 . 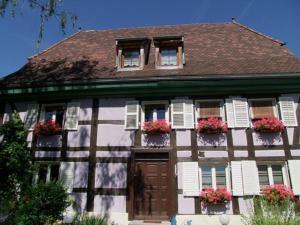 Aux Portes de l'Alsace price per day from € 57 . Chambres d'Hôte Le Moulin à Epices price per day from € 48 . 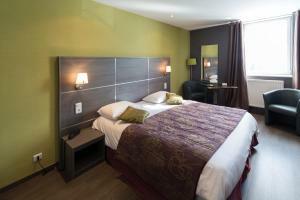 Best Western Hôtel Belfort price per day from € 53 . Jougne: recommended ski resort for beginners. Prémanon: recommended ski resort for beginners. Rochejean: recommended ski resort for beginners.